Newry Mourne and Down District Council's Fairtrade Steering Committee works to promote Fairtrade throughout the district with the aim of increasing the number of outlets who provide Fairtrade options locally and to encourage more and more people to choose Fairtrade when shopping or visiting cafes and restaurants. 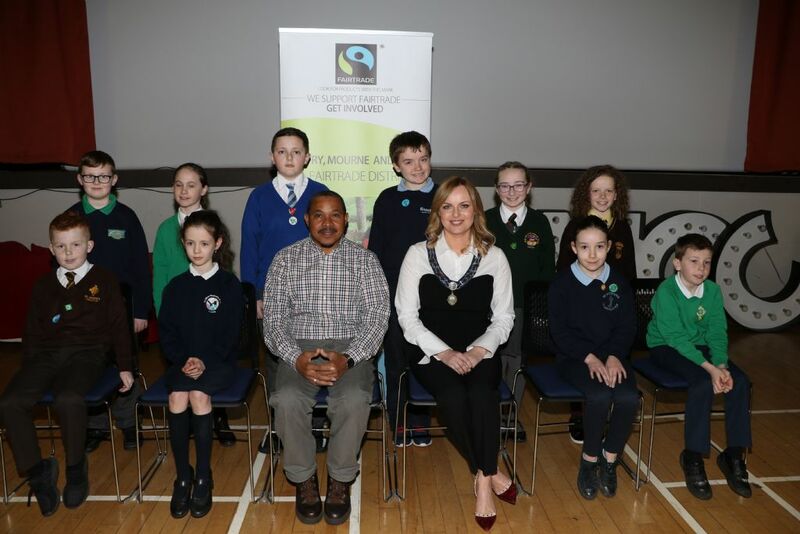 The hard work of the local Fairtrade steering group was rewarded in November 2018 when the Newry, Mourne and Down area was awarded Fairtrade district status. Chairman of Council Councillor Mark Murnin is pictured, along with members of the steering group, receiving the official certificate. Interested in being a member of the Fairtrade steering group for Newry, Mourne and Down? Contact fairtrade@nmandd.org. The steering group has continued to promote Fairtrade during 2019. 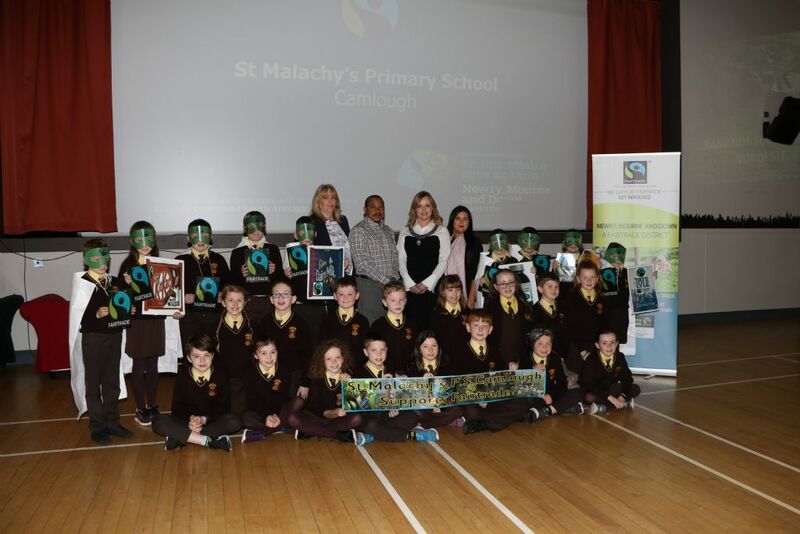 In March 2019, during Fairtrade Fortnight, a successful schools’ event was held at Newcastle Community Cinema hosted by Deputy Chair Oksana McMahon. Local schools were able to meet and hear from Blas, a Fairtrade banana farmer, who works in the Bolenino Cooperative in the Dominican Republic. As part of his address he gave pupils an insight into how being part of a Fairtrade cooperative has helped him, his family and community. Pupils were able to ask Blas questions to get a better understanding of Fairtrade and how it works in practice. Many schools include Fairtrade in work they do for the ‘Global Perspectives’ topic of the Eco Schools Programme. To find out how to register and what needs to be done to become a Fairtrade School. Both sites provide free online resources. The Council plan to promote Fairtrade in the future, both internally with our own staff and also throughout the district, by encouraging participation in the annual Fairtrade Fortnight initiative.